Boutique Anantara Angkor Resort is enviably located just 15 minutes away from UNESCO World Heritage Site Angkor Wat and its spellbinding ancient temples. During your grand adventure, this stylish five-star offers unparalleled comfort and exquisite attention to detail, providing an all-suite luxury experience. This commences with a complimentary airport transfer and foot ritual upon arrival, welcomed by an Experience Butler, who provides attentive yet discreet personalised service throughout. The 39 Khmer-inspired suites come draped around a charming courtyard pool, indulgent with fine silks, teakwood floors and modern luxuries. A highlight of the Luxury Collection Suites, the sumptuous Henri Mouhot Two-Bedroom Suite is reminiscent of a Khmer summer home. 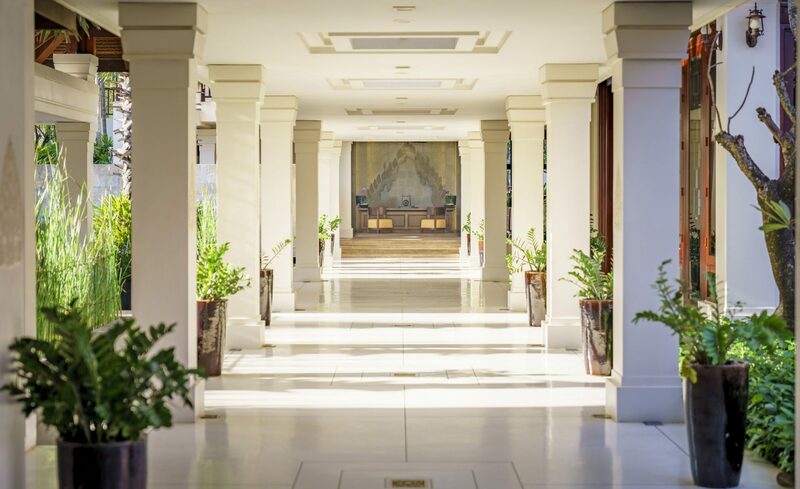 Chic culinary amenities feature Anantara’s signature “Dining by Design” concept, while the award-winning spa showcases traditional Khmer therapies.